The autobahn, the German nation motorway, features toilets that, unlike many countries, require a fee to use. While these fees are small and can be used as a partial rebate in the rest area's shop, new developments show that many who use these bathrooms are not cashing in their rebates. German truckers have also been facing regulatory changes in their abilities to access these bathrooms. Through a simple rebate system, many people who visit the bathroom while on the autobahn effectively for .20 euros. There is a 70 cent cost to use the facilities, but .50 euros of each of these tickets can be used toward a purchase from the station's store, according to The Local. However, only about 80 percent of these coupons are cashed in, creating large profits for Tank und Rast, the company that operates these rest stops. 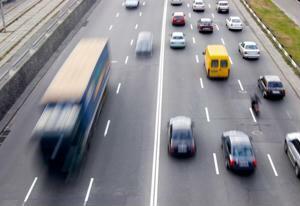 Cumulatively, the losses for Germans and other drivers on the motorway equal about 7.5 million Euros, according to German newspaper Die Welt. While many simply throw away the tickets or don't have time to use them, they are valid for there years. Some of the tickets are even sold on eBay for those looking to undercut the cost of their bathroom breaks. Members of the Allgemeiner Deutscher Automobil-Club, Europe's largest auto club, have criticized the move. Other gas stations in the area want to charge 50 cents for the bathroom and give out rebates for 70 cents toward the shop, encouraging customers to purchase items. Germany's 1.5 million truck drivers may see increased paperwork in their days if new legislation passes. Because truckers have to pay the same fees that other drivers do, they are credited with 5 Euros per day to cover expenses. Legislators now say that many truckers don't even use these bathrooms and are just pocketing the extra money. The solution would involve truckers keeping a log of the number of times and the length of visits to the bathroom for three months of the year, according to the German Herald. A tax official stated, "The flat rate harks back to a time when there was a collection plate and no chance of a receipt for toilet usage - now the system is automated and there are receipts - and we want truckers to justify their claims." Needless to say, the move has come under criticism from other tax representatives as well as truckers.